FIRST Member Kelly Walters talks about ichthyosis and the military. Your doctor already knew about ichthyosis when you were born, right? Was that helpful for you and your family? Kelly: Actually, when I was born my doctor didn't know what ichthyosis was. I was very fortunate that one of the delivery nurses just so happened to have a niece (Bailey Pretak!) a few years older than me who was also born with ichthyosis and was able to help both my mother and my doctor with my care. 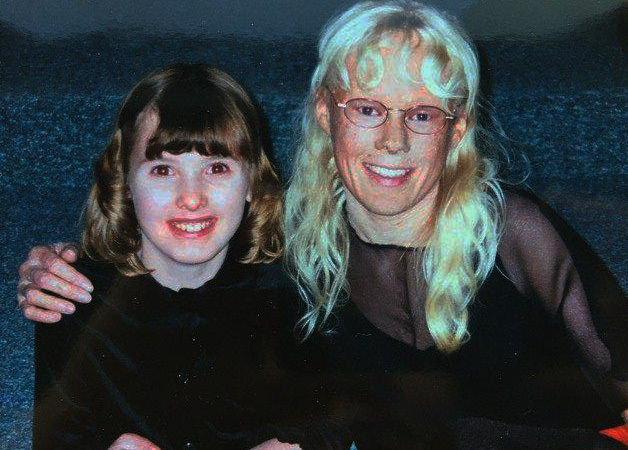 It was Bailey's mother, Tracie, who was the biggest help to my mother in raising a child with ichthyosis. What was it like to meet someone else with ichthyosis for the first time? Kelly: Honestly, I think I was a bit nervous. Growing up I knew that I had a skin disease, but I wasn't really sure what that meant, or what it meant for others with the same disease. Even though I felt overwhelmed at first, I also felt a sense of belonging and a sense of "normalcy". Attending my first FIRST benefit concert and having ichthyosis gave me an environment where it felt normal, natural, and common to have this disease; conversely to every other day of my life where I was different. What was school like growing up? Kelly: I count myself fortunate to have met a group of friends who didn't see the skin, but saw Kelly. It was that group of friends who helped make school great for me. I do remember instances though where kids were afraid of me, or afraid to touch me. One example that stands out is my time as a Girl Scout. I can remember when it came time to hold hands in a circle and close the meeting, the troop leaders held both of my hands because none of the other girls in the group wanted to touch them. Mostly, though, I just received a lot of questions like, "what's wrong with your hands"?, or "What's wrong with your face"? What made you decide to join the military? And what made you choose the Army? Kelly: The military came up as an option for me for a few different reasons. I have always had an underlying desire and fascination; the challenge, the family/community you join, and the opportunities given really appealed to me. I also heard my sister complain about student loans and how "she would be paying them off until she was 50", and I knew that I didn't want that! Growing up in Kane, PA, there was an Army National Guard recruiter right in town - thus, the Army was the easiest and most feasible service for me to join. Were you nervous to join because of your ichthyosis? Kelly: It was actually a bit of a process for me to join. So far I haven't met one other person in the military with ichthyosis, and for it being unknown and new, there were a lot of questions and a lot of trips to MEPS (Military Entrance Processing Station). Eventually I ended up having to get a medical waiver to join, even after providing my entire medical history and a letter from my doctor stating that my ichthyosis wouldn't hinder a military career. As for being nervous that my skin would hold me back/limit my abilities? Not at all. 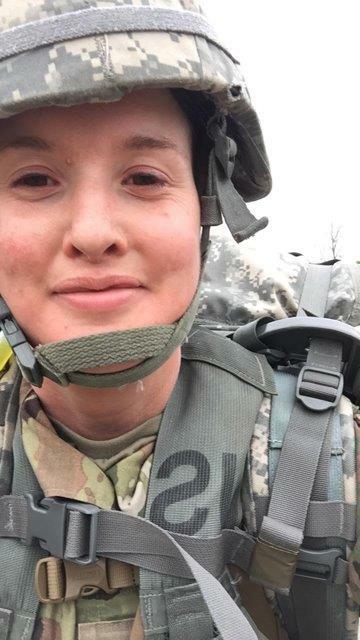 How did you handle basic training with difficulty in sweating and how do you handle skin management (lotion, etc), especially if you're overseas? Kelly: Basic training provides many challenges on its own, and adding ichthyosis on top of it all presented even more. That being said, the Army isn't intentionally out to hurt anybody, and encourages each individual to take care of themselves. For me that meant drinking even more water than I could stomach, finding shade and other ways to cool down to offset sweating, and knowing when to ask a buddy for help accomplishing tasks so as to not overexert myself to the point of passing out. Out of principle, I never made it a point to emphasize my skin disease, and kept it pretty quiet during basic training. However, they do have ways of identifying heat casualties and take preventative measures for those individuals. Skin management - not as difficult as you would imagine, but definitely could cut down on your regimen, depending on how much your skin requires. For me personally, I have to lotion head to toe after my shower, and reapply throughout the day just to maintain. I also spot treat areas as needed, like if I get deep cracks and such in my heels or nose I will spend extra time and care there. The Army in general gives times to conduct personal hygiene, and it usually suffices for maintaining my regimen. However, depending on what kind of training you go to, your time could be constricted. For example, I just went through Warrant Officer Candidate School where I only had seven minutes for both my roommate and myself to shower and get dressed and be ready for our next event. During these types of training my hands cracked and bled, my heels got deep cracks, my skin was flaking excessively, but I just had to push all of that aside and out of my mind so I could still accomplish what I needed to. These trainings are not the norm, though, and none of them last forever, so you can go back to your self care. I think it adds an extra level of personal pride for me to finish the already challenging trainings with the extra layer of pushing through the complications with ichthyosis. How have your peers in the military accepted your skin disorder? Have you had any issues with bullying or ostracization there? Kelly: The military is a pretty diverse community, so for the most part it’s pretty tolerant of others that are “different”. I haven’t really ever been bullied or ostracized, more so just asked questions. Because my face is often red and my eyes red, I most frequently get asked if I’m okay or if I’m crying. My reply is simply, “nope, it’s just my face”. Kelly: I am a signal systems technician full time for a Brigade Headquarters. I basically oversee and manage all of the communications equipment (satellites, radios, servers, etc.). In simplest terms, I work in IT. Have you ever been deployed? Where? 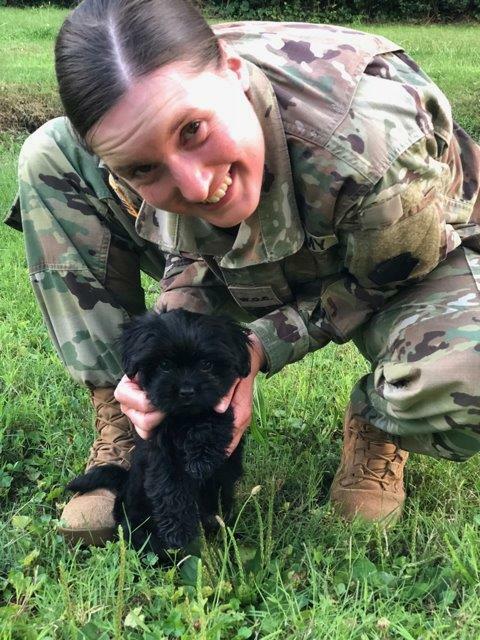 Kelly: I deployed to Kosovo in 2016, and would gladly go back. How many years have you been in the military now? Kelly: I enlisted on July 22, 2008, so just over ten years now. I saw that you have a new rank! Congratulations! What is it? And for those who might not know, what does that position mean now? 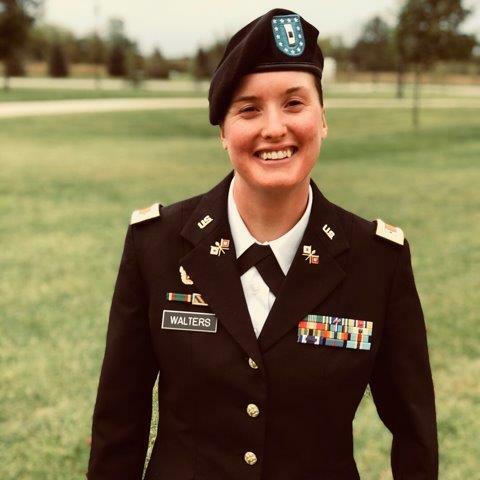 Kelly: I went through Warrant Officer Candidate School and am now a WO1. Without rambling on too much about the Army and rank structure, the main concept is that a Warrant Officer is a technical expert and leader. We are the subject matter experts in our field, and it's our primary responsibilities to operate and manage our systems, train others, and advise the commander. What is your ultimate goal with the military? Kelly: To be a positive influence to my subordinates and inspire creativity, passion, and pride in our work. What advice do you have for someone with ichthyosis or parents of someone with ichthyosis who has a desire to join the military? Kelly: Ichthyosis in the military isn't without its struggles. Honestly I would assess the severity of your case of ichthyosis and the amount of care and attention required to ensure your health and safety. I find mine a bit more manageable and can "suffer through" a few days with no lotion, etc. I also am able to run and spend time in the heat without overheating (to an extent) and haven't come across many instances of heat exhaustion. If you, or your child, struggles in these areas, it may be something you want to spend more time thinking through. 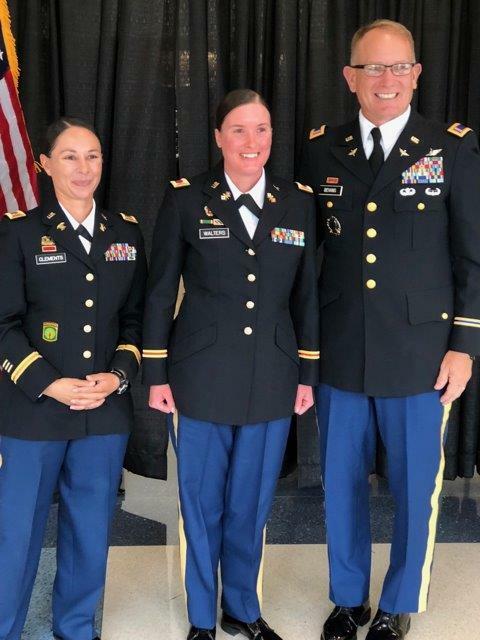 Ichthyosis is not an automatic barrier to joining the military, and there are ways to help in those areas if needed, and can find an occupation in the military that doesn't require high physical demands. What advice do you have for someone who has a dream but everyone says it's impossible? Because I'm sure some people think that about ichthyosis and the military. Kelly: Please, for yourself, for your heart, do whatever it is that you're passionate about. The world will always be the nay-sayers, but let your heart and your desire win. Set a goal, and then start doing little things to get you there. I never thought I would be where I am today and certainly had others who agreed, but I wanted this so much that I just kept on. I will be the first to tell you it feels so wonderful setting a big goal and crushing it. Find friends and family who support you and surround yourself with them, and don't be afraid to let them boost you up when you need it. Tell us a few more things about you, so we can know who Kelly is. Kelly: I am typically a quiet and reserved person who loves books, coffee, and learning more about myself and the world. I love to travel and am actually writing this from a coffee & crepes cafe in Nashville before we head to New Orleans later today. I live in Pittsburgh, PA with my partner, Sarafina, and have a five month old pup named Gracie. My hometown is Kane, PA and I still love going to visit to get back into nature. I’m a pescatarian, I love cleaning, and my dream job after I retire from the military is to own my own book store or be a librarian.